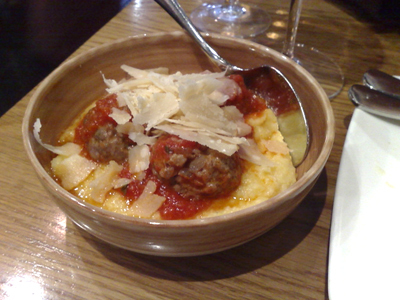 Polpettini di manzo con polenta e parmigiano - traditional beef meatballs with soft polenta and shaved parmesan - I found this dish to be under-salted which is something I rarely say. 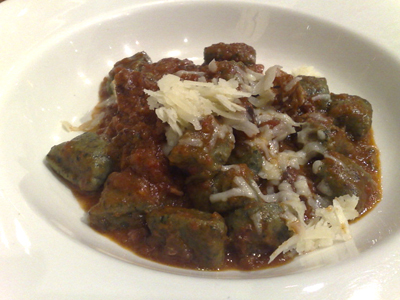 I have the Cavolo Nero and Ricotta gnocchi served with a pork ragu - quite different to potato gnocchi, much firmer texture but still very enjoyable. 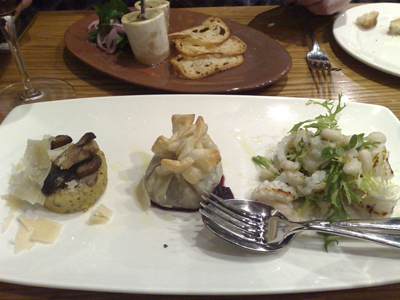 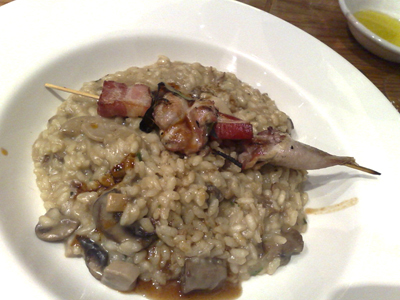 Paalo has the Mushroom Risotto with grilled quail and pancetta - Paalo finds the risotto bland and in need of salt. 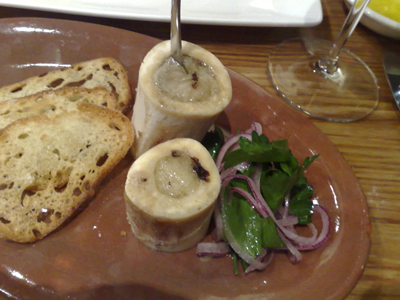 Unlike our previous meals here, service was slack with wine glasses on empty a few times during the meal. 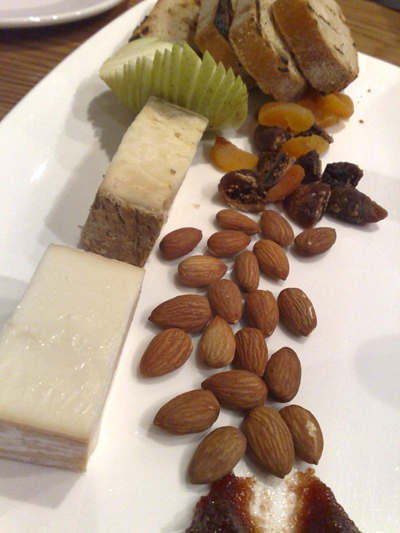 Cheese course - tallegio and testun di capra served with roasted almonds, dried figs and apricots, sliced pear, quince paste and toasted bread. 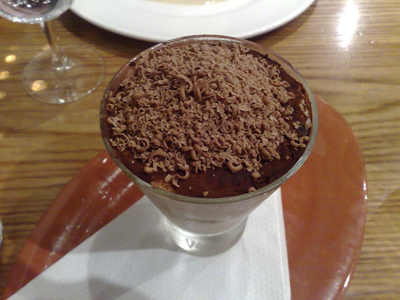 I have the Zuppa Inglese (Italian style trifle with sponge, rum, zibibbo vino liquoroso, chocolate and vanilla cream) which looks nothing like the version my mother makes but that isn't surprising. 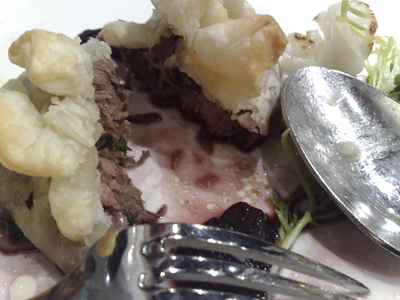 It is still quite delicious. 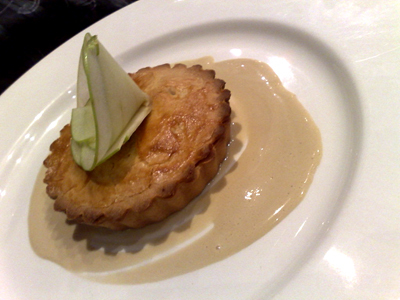 Paalo has the apple tart served with a coffee cream.